Viznet is the distributor of “Crystal Connect” through a partnership agreement with Crystal, an American company pioneering broadcast technologies. 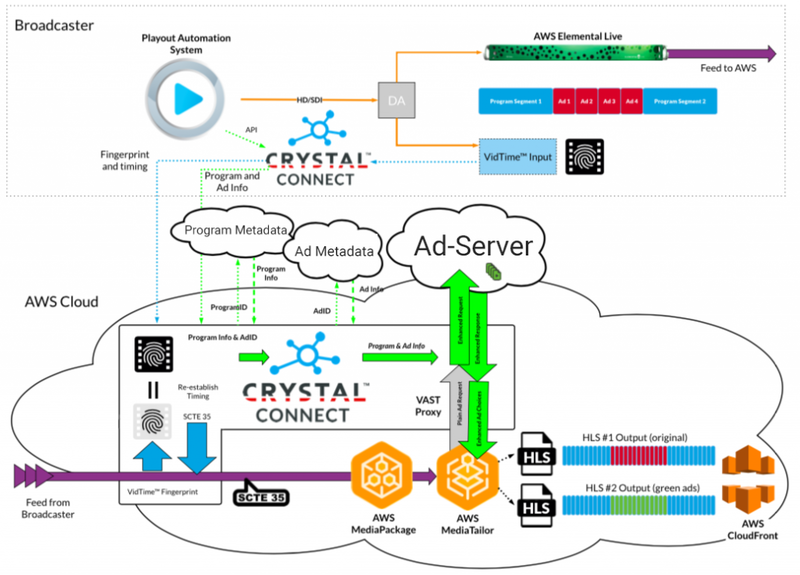 Crystal Connect automates dynamic contextual and addressable ad insertion. Crystal Connect works with current TV broadcasting systems to enable the entire linear advertising inventory to be targeted on all broadcast platforms (IPTV, Cable, OTT, Digital) without changing the current broadcast infrastructure or streams. Crystal Connect helps turn the whole broadcasters‘ inventory into “addressable ready” inventory. Crystal Connect recognizes advertisements in a video stream, knows the duration of each advertisement and slot and knows where to place each addressable advertisement. Crystal Connect works for all types of TV inventory (e.g., linear, VoD), does not require a change of workflow or infrastructure, and integrates with existing systems (Playout Automation, Media Asset Management, Order Management & Trafficking Solutions) and third-party databases for additional metadata. Metadata can be transmitted to the insertion and advertising decision systems in any format: in-band via the SCTE 104/35, out-of-band using Crystal Connect’s VidTime fingerprint and Crystal’s metadata Cloud, or through a custom API. In addition, some metadata can be transmitted in advance, using SCTE 224 or any custom format, which leaves more time for advertising decision-making systems to optimize dynamic insertion. The metadata extracted by Crystal Connect can also be used to “condition” the linear flow for manifest manipulation. I consent to this site storing the information that I submitted to it so that it can respond to my request.